Architects Todd Williams and Billie Tsien’s new Barnes Foundation in downtown Philadelphia is never referred to as a museum, but rather a campus. The modernist building, glass and stone, crisp and cool, has two personalities: one- 21st century and the other, a time warp recreation of the original galleries in Barnes’s mansion inMerion,Pennsylvania. The new building and landscaping is so stunning that it is easy to wish that Judge Stanley Ott, who ruled that the collections and paintings could be moved, had gone one step further. One more change would have broken the rigid arrangement in the galleries and made it possible to appreciate the collection in terms of genre, period, or nationality. But the opposition to such a change was overpowering. The fight over the move from Merion to downtown Philadelphia was bitter and long. Judge Ott agreed to amend the trust agreement, allowing the collection to be moved. You can only guess that having won that battle, the trustees were not prepared to tackle another. In fact, they received permission to amend the trust providing they would scrupulously replicate the original symmetrical floor-to ceiling configuration of paintings, furniture, pottery, and metalwork. Barnes was an enthusiast—not just for French paintings, but Pennsylvania German chests, cupboards, tables, chairs, ironwork, brass, tin, ceramics, Navajo jewelry, Buddhist Boddhisattvas, and much more. He orchestrated each gallery so that the various paintings, furniture and objects related to each other in terms of color, line, and form. He was convinced that the patterns observed in fine art reflected those in craft, especially wrought iron. In the new building, the jaw-dropping collection is hung from eye level to ceiling in an almost an exact replica of its Merion home. Some of the subtle gallery changes are glare-reducing lights instead of window shades, skylights, and indirect cove lighting. Yet, in spite of the changes, there are challenges for the viewer. You still need a ladder or maybe binoculars to study the paintings hung way above eye level. In the very first gallery, Renoir’s Woman with a Glove, is hung so high you can barely see it. Luckily, Cezanne’s Madame Cezanne with Green Hat is at eye level, but above one door is Renoir’s Henriot Family. The standout in this first gallery is the exceptional Matisse, The Dance, artfully placed in three large semi-circular lunettes. 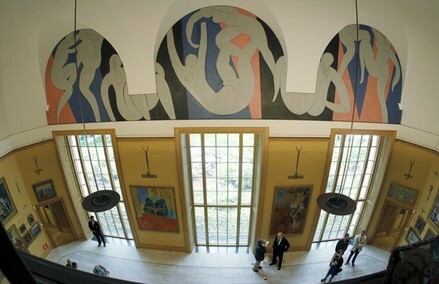 Barnes commissioned Matisse to paint the mural to decorate the lunettes above the French windows in Merion. In their new home, they look better than ever. The new Barnes has a split personality. You enter along a pathway lined with brilliant red Japanese maples and a flowing reflecting pool covered in Mexican beach pebbles. The façade is soy-milk colored, etchedNegevstone, softened by surrounding greenery. The building has what every museum needs — a library, a restaurant, an indoor-outdoor café, an auditorium, and study rooms. You enter into a “Light Court,” a huge space for social occasions where light is deflected from a translucent glass roof. Leaving the spacious, rather grand court, you enter the galleries through two massive 2,000 pound bronze and glass ornamental doors, brilliantly designed by Tsien. They pivot open and you’re in a Barnesian retreat from the 21st century. The galleries are just as they were in Merion, faithful to Barnes’s ideals. His goal was to overturn traditional distinctions among fine, decorative, and industrial art. Barnes created plans and spatial arrangements for his objects and paintings that he thought would bring out the best in each that demonstrated how they related to each other. Barnes may have been what some called a “misanthrope” or a “crank” but he still had a great eye and the funds to buy 800 paintings. 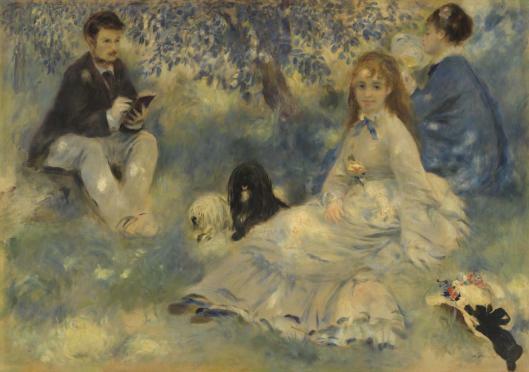 Among them are 181 Renoirs, 69 Cezannes, 59 Matisses, 46 Picassos and 16 Modiglianis. “No cubists?” you might ask. In a 1947 letter on view at the special exhibition adjacent to the Light Court, Barnes wrote in a letter to his friend Leo Stein a stinging condemnation of Picasso’s cubism admired only by “nincompoops like Alfred Barr et al.” Who would write like that today? 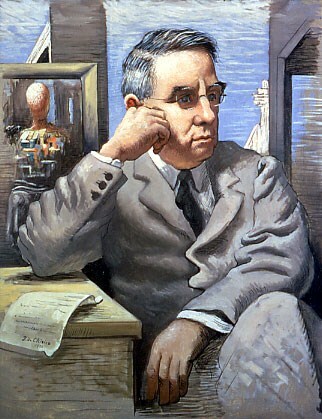 Barnes along with his Director of Education, Violette de Mazia (1899-1988), considered the Foundation primarily an educational institution, dedicated to guiding students to a greater appreciation of art and aesthetics. Now that the Barnes is up and running, we have another great museum and what can be hoped, as Barnes and de Mazia believed, is that visitors will find that art is important and can contribute to the art of living. 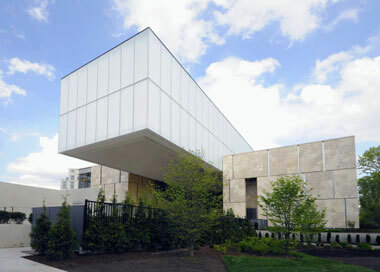 Some 250,000 visitors annually are expected to visit the Barnes Foundation in its first year, roughly four times more than in its original leafy, suburban home. Reservations to visit the Barnes are a must: www.barnesfoundation.org; 866-849-7056. Open Wednesday through Monday,9:30-6 and until10 pm on Friday. You are right about the way Barnes’ arrangement of art works ignores genre, period, and nationality. It can feel bewildering to see a 16th-century portrait next to a 19th-century portrait next to a 17th-century portrait. However, as you say, the collection is so stellar that I keep going back, in spite of everything!